It’s been twenty years since I saw my first episode of Buffy the Vampire Slayer and during those twenty years I became a devote follower of the Nerdgod Joss Whedon. I was there when Angel launched and eventually became better than Buffy. 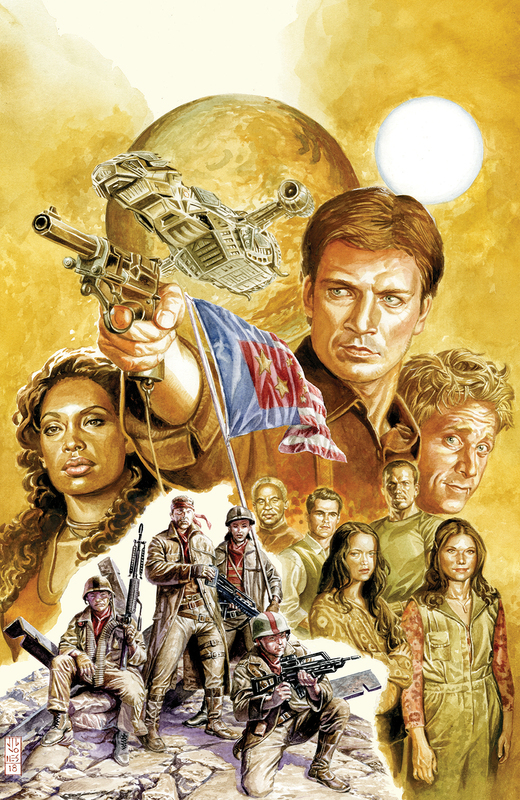 I was there when Firefly debuted and quickly became the crown jewel in the Whedon crown. I was even there for Dollhouse which failed to find its footing until it was too late. I saw Serenity 3 times in the theater, once at the red carpet premiere at Universal Studios (the cast was at the after party). I was as thrilled as anyone when Whedon was named the director of the Avengers and still excited when he was on board for the sequel. Over the years my rose colored glasses have faded and I’ve been able to look at Whedon’s work critically, something which doesn’t take away from how I look at his work emotionally; It’s possible to love something and still see its flaws. I suppose the same could be said not just about his work, but about Whedon himself. I’ve tried to follow the Whedon comics but, honestly, they’ve never appealed to me much. The original IDW Angel books had some not great art and the first Buffy series from Dark Horse seemed at odds with what made the show great. 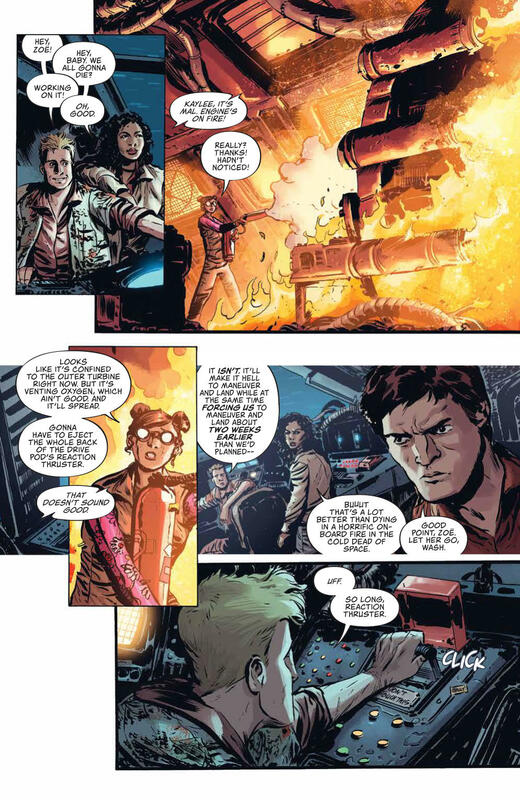 Somehow, the Firefly comics just got lost in the shuffle for me (and there were Dollhouse comics, too!). But Boom! 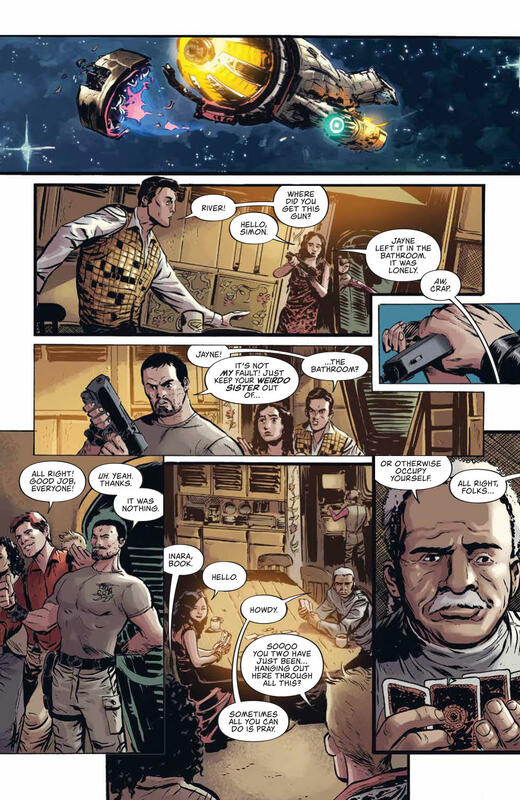 has given me a chance to start fresh in the form of Firefly #1, which would appear to take place before the events of Serenity (as everyone is alive). 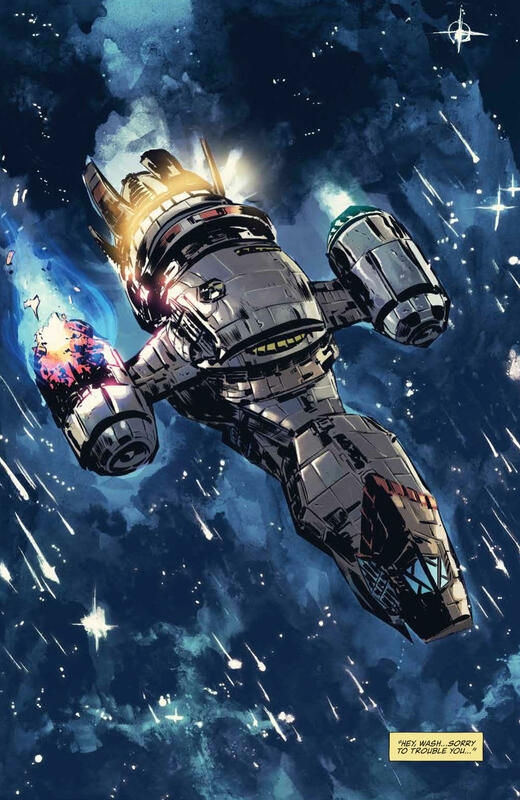 If you’re a Firefly fan, it’s exactly what you want: perfect character moments, a nice mingling of lo-fi sci-fi and western motif, and hints at some philosophical complexity. A lot happens in this first issue — almost too much, really. Greg Pak has the characters down pat, but none of them really stand out in this issue save Wash, who has all the best lines. But I would imagine this is a product of wanting to establish some stakes right off the bat. Pak even falls into step with some of Whedon’s more melodramatic tendencies. 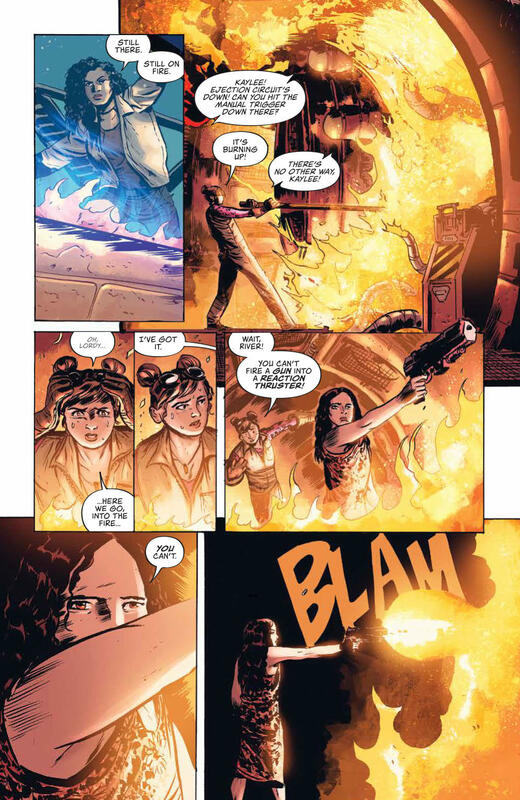 When asked how she knows a solid amount of information about the planet they’ve just landed on, Inara tells Mal that “you’re not the only one with a past.” It’s the kind of cryptic statement that Whedon thrives on, but it’s not how people actually talk to each other. Don’t get me wrong, it’s totally in line with how Whedon writes Inara on the show, but not everything Whedon does is worth emulating. The art by Dan McDaid is the perfect mix of likeness and style. The characters are easy to recognize, but not at the cost of McDaid’s work. This is a big selling point, to be honest, because too often licensed comics place much of their focus on making the characters look like the actors. It’s unnecessary. McDaid manages to find that fine line, nodding to the TV show/movie but still doing his own work. 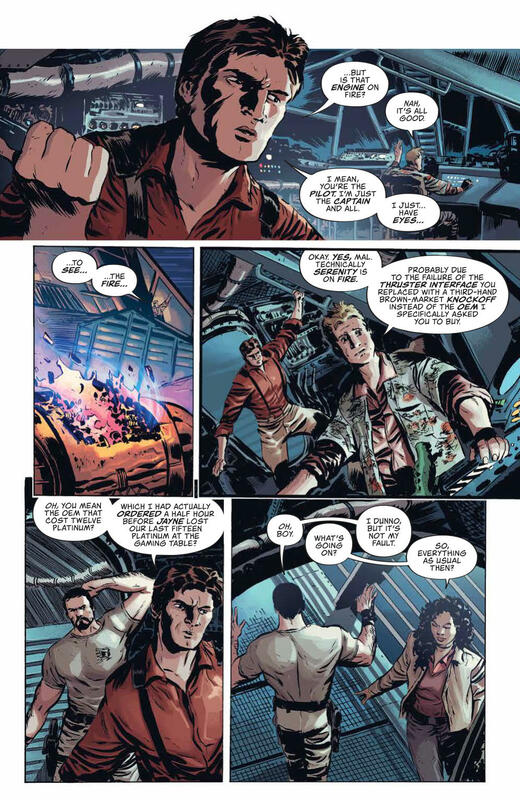 McDaid and colorist Marcelo Costa do an excellent job of making the Firefly world feel dirty, which was actually part of the appeal of the show. Serenity feels worn and lived in. The planets they go to look wild and untamed. This book is every bit a western as it is space opera. There’s one beat in the book that made me think the preview I got was missing a page. The Serenity goes from floundering in space, looking for a place for an emergency landing, to suddenly being on the ground. It’s not a big deal and I can understand why such a transitional scene would be cut for space, but it’s jarring. Let’s be honest: it’s also weird to be reading a story of about the crew set before Serenity when we know how their future plays out. For as much intrigue as Pak and McDaid are able to establish in a single issue, the stakes are only ever going to be so high because we know how everything ultimately resolves. Bottom line: This is an excellent book for fans of Firefly and, I would imagine, a solid introduction for those brand new to the concept. I’m looking forward to where it goes from here.